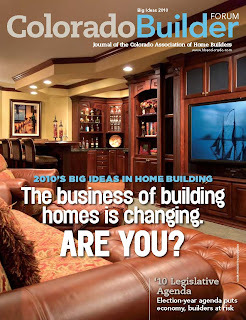 I was recently asked to write an article for the Colorado Builder Forum, the Journal of the Colorado Association of Home Builders. Being an attorney that has devoted my career to defending Colorado homebuilders involved in construction defect lawsuits, the topic I chose was naturally strategies for minimizing the risks associated with building in Colorado and how to avoid construction defect litigation. This article is now available online, and can be found here. If you have any questions regarding construction defect litigaton in Colorado, please contact David M. McLain at (303) 987-9813 or by e-mail at mclain@hhmrlaw.com. For a more full explanation of construction law in Colorado please visit our website or request a copy of our Overview of Construction Defect Litigation in Colorado.